This should be the last RO system you will ever own. Delivers the highest quality RO water possible! This system will save you hundreds of dollars. Because Instead of taking the time to, disassemble and disinfect a conventional system. Anyone including you. 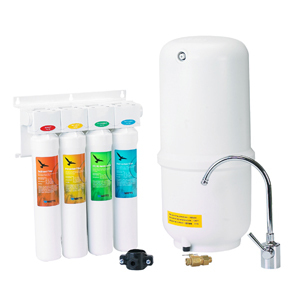 Can change the filters in LESS THAN A MINUTE on this revolutionary new system – no mess, no spilled water, no hassle!